A Houston area woman, visiting Yellowstone National Park, was taken to the hospital Tuesday after the second elk attack on a human in three days. 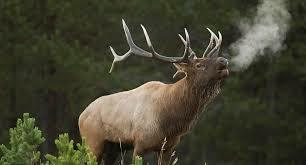 It occurred when 53-year-old Penny Allyson Behr, of Cypress, was walking between two cabins behind her hotel when she came upon a female elk with a nearby calf. Behr tried to back away but the elk kicked her in the head and body.